I’m linking up to another Top Ten Tuesday today with The Broke and the Bookish! This week, we get a chance to gush about pretty much any bookish thing we like, so I’m gushing about the early 1900s books I’ve read and enjoyed lately! Check out other bookish blogs linking up, today, as well! I adored this novel about a naive and endearing young orphan girl in England in the 1940s. 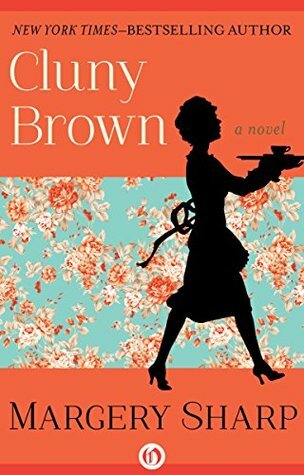 Cluny Brown is just barely an adult who is perfectly happy in her own skin but is driving her class aware family crazy. They decide she should “go into service,” by becoming a housemaid in an old family in the country. Her optimism and ability to make friends with anyone causes the whole plan to backfire a bit. It’s a lighthearted novel with a rather unexpected ending. I would have ended it differently, but I still give this one 4 stars. (Side note: I discovered this book because I was looking into the book The Rescuers, which was also written by Margery Sharp and then made into the 1977 Disney move. Can’t believe I’ve never heard of this writer before last month!) I just ordered The Nutmeg Tree in kindle version, which is currently on sale for $2.51. 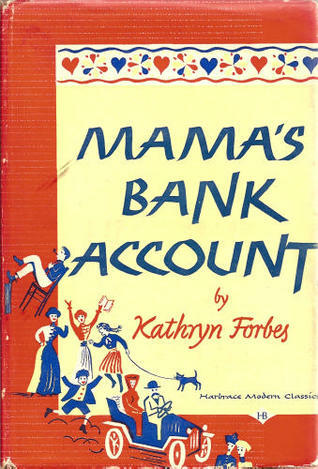 Kathryn Forbes wrote this memoir about her mother in 1943, and there is so much goodness to be drawn from the stories about her wise mother. She raised her children well, showing them love in exquisite ways that somehow pointed them in the right direction without condemning them. Three stories especially stood out to me, about times when her almost-adult children were making unwise decisions. Each child is brought around not by lectures, but by undying support and devotion. I can’t recommend this book enough for moms! It’s a delightful read for anyone, really. Forbes’ family is from Norway, and after immigrating to San Francisco, her mother was fiercely loyal to the city. I haven’t ever read an account of European immigrants settling on the West Coast. Maybe because of the location or the bright outlook of the writer, but I felt this immigrant story didn’t have the gloom that many of the ones set in NYC or Chicago portray. There are so many other great books from the early to mid 1900s! Ten years ago my favorite literary period was Victorian British lit (Dickens, Brontes, Eliot, etc. ), but now I am firmly entrenched in a love of 1900-1940 literature. I’ll leave you with some of my other favorites. I’m looking forward to a great summer of reading both old and new books! 5. The Blue Castle, L.M. Montgomery – So very different from Montgomery’s other books and yet very, very good! 6. I Capture The Castle, Dodie Smith – One of my favorites —do not watch the movie! Just read the book. The movie is tragically not like the book at all. And many, many more! What are your favorites? Disclaimer: There are no affiliate links on this blog! Just true, honest recommendations for books I love. Enjoy! The Jeeves books are awesome! 🙂 And the Hugh Laurie and Stephen Frye adaptation is great.